We had been growing a few things over the winter, but due to the location of the sun it wasn't growing very much. Then in the beginning of January we finally had our first hard frost. So before it came we harvested all that had grown. 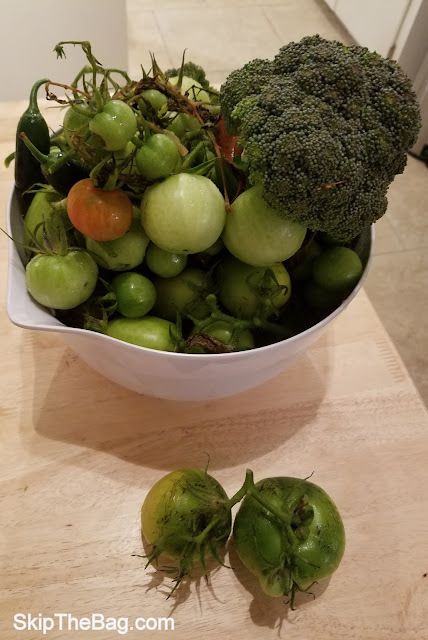 We had a ton of green tomatoes, a few heads of broccoli and some jalapenos. 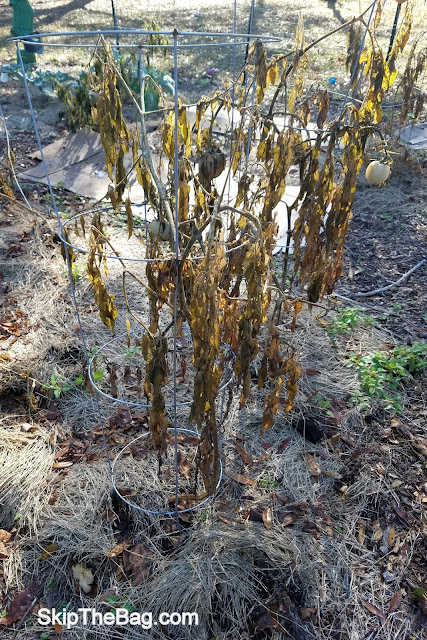 After the frost the tomato plants died. It was crazy to see how the plant shriveled and the tomatoes turned white and mushy. Our zombie jalapeno plant that wouldn't die finally kicked the bucket too. Not everything in the garden was deterred by the frost however. 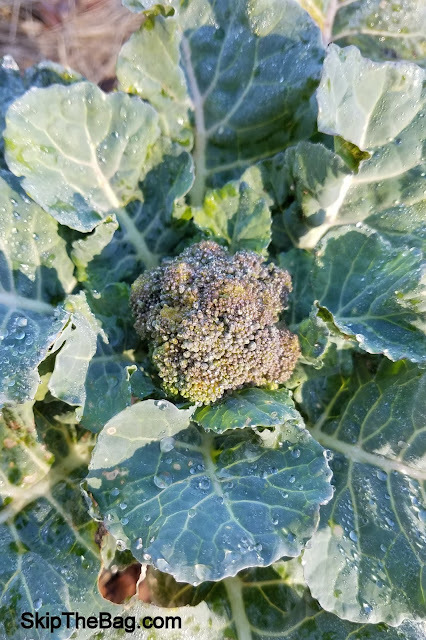 The lone broccoli we didn't harvest survived fine. Seeing this we realized that we had let the garden go. 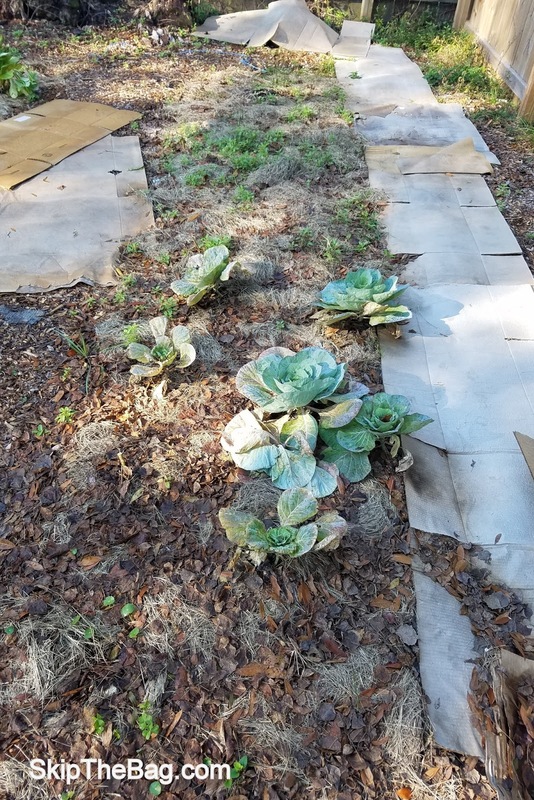 We were going to start over by laying more cardboard down and putting down mulch. 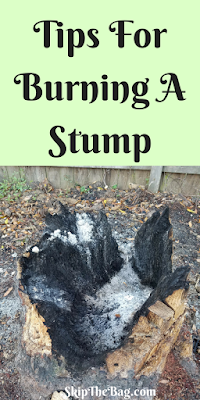 We also took opportunity to try and remove two stumps in the garden. 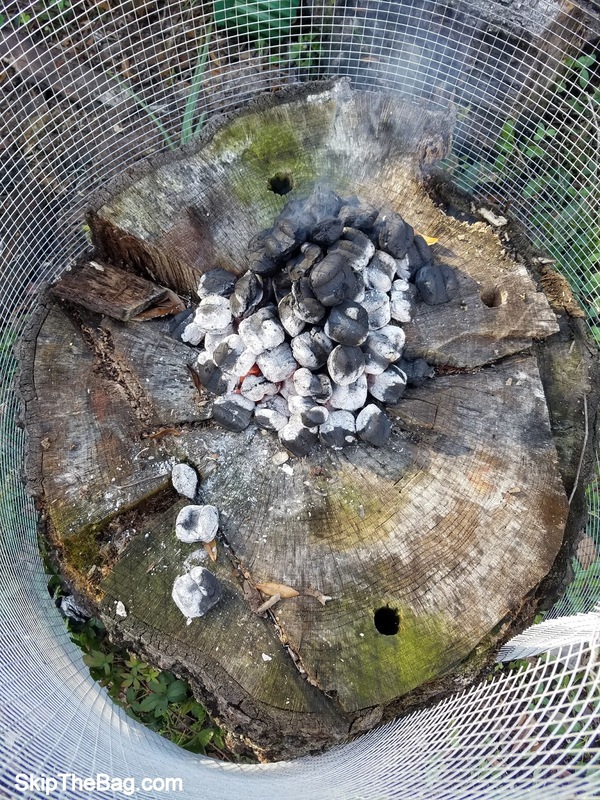 The largest one we tried to burn down with charcoal. I'll admit it didn't work great like this. The next day we piled far more briquettes and it made a bigger dent in the stump. Although we still have a ways to go for it to be manageable. The other stump we were able to dig out using axes, pry bars, shovels, and a chainsaw. Hopefully this stump will get out so we can extend our garden all the way to the fence. Update: We finally figured it out! 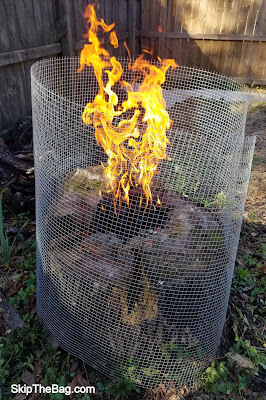 How to burn a tree stump. 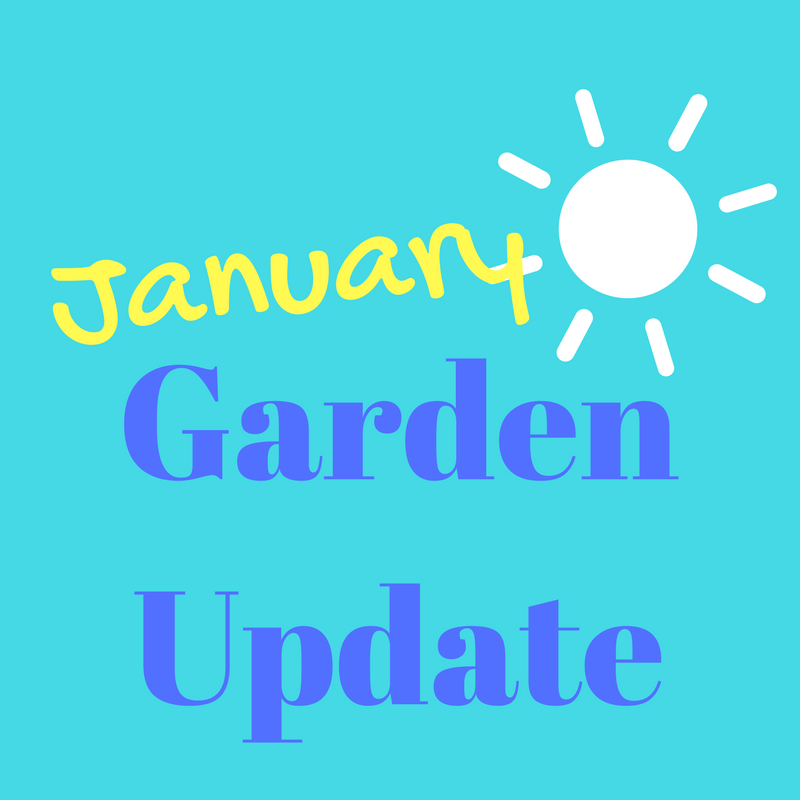 Were you able to grow anything in January? How exciting to have homegrown broccoli and cabbages coming! I'm waiting for spring to get my garden going! Absolutely, weeds are very good at their job--being a nuisance! Ooohh, broccoli! I'm excited to try growing our own this year. 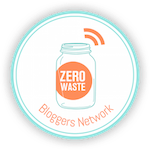 :)Stopping by from the Homestead Blog Hop. It's been fun, and much better than the ones wrapped in plastic that I find at the store!